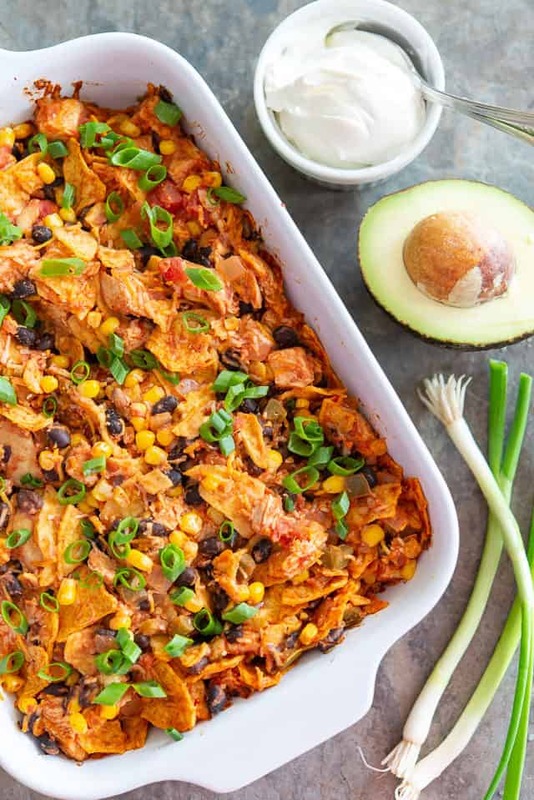 This Tex Mex Chicken Casserole takes less than 10 minutes to put together, and is perfect for an easy weeknight meal that feeds a crowd! You know those times when you feel too tired to cook? This is one of those recipes where I can always muster the energy to whip it together, even when I don’t feel like cooking. It demands so little, and it’s easy, delicious, and full of texture. Plus, you can make a big batch and heat up the leftovers for dinner on any other night of the week. I love leftovers. 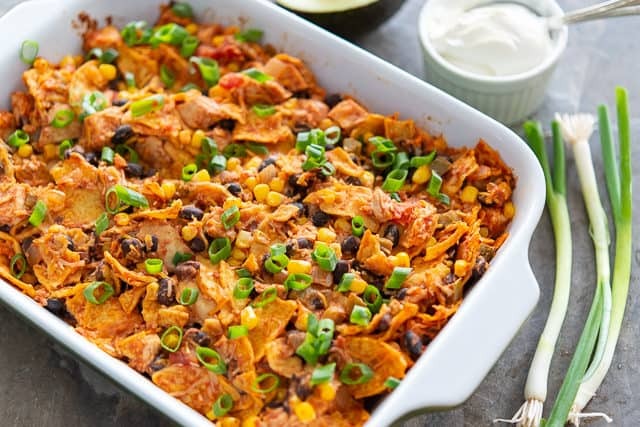 You can think of this recipe as a big nacho bake, of sorts. But with less cheese, more salsa, and a casserole-like texture. 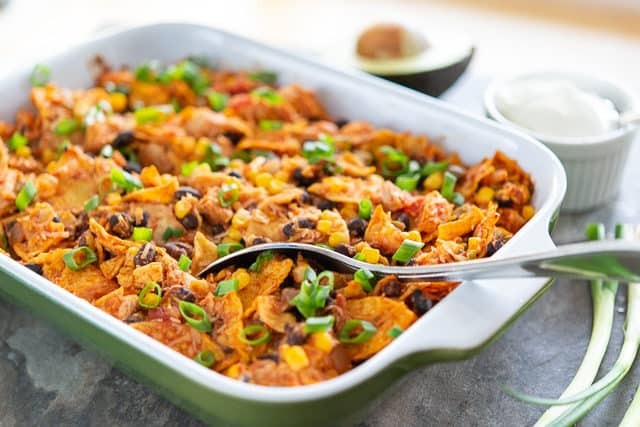 It won’t and is not supposed to have the crispness of a tray of nachos, but rather the nachos soak up the salsa and take on a more tortilla-like texture that makes for a hearty bite. 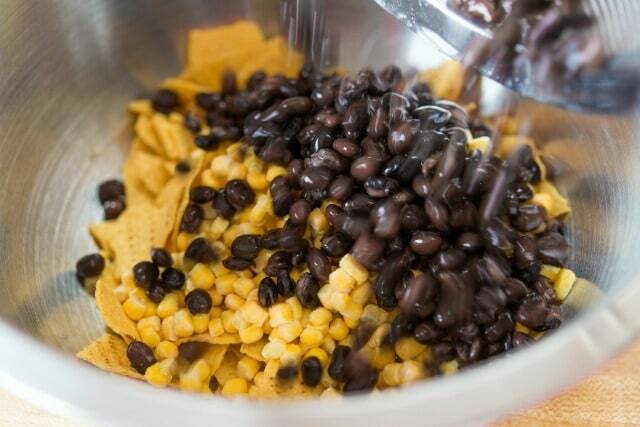 You also gets bits of corn, black beans, scallions, and gooey cheese to tie it all together, and a sprinkling of taco seasoning to enhance the tex mex flavors that go so well in dishes like this. 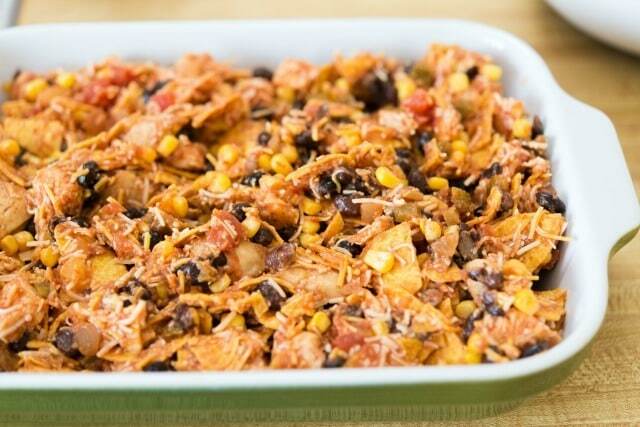 Let me show you how simple it is to put together this Mexican Chicken Casserole. 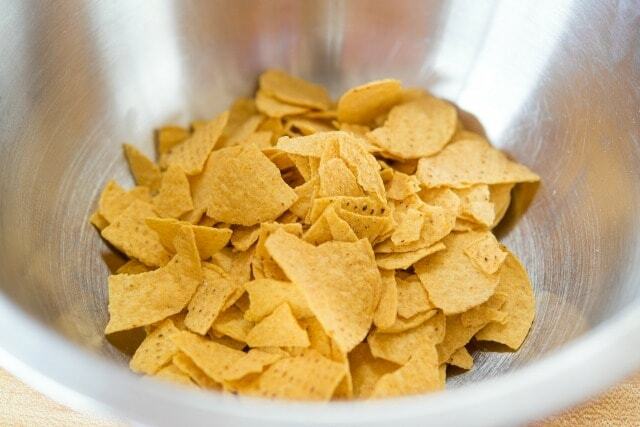 This is an instance where you want to use the thicker, more robust tortilla chips. Thin ones will get too soggy and flimsy. Now we’re going to add a bunch of supporting ingredients. Then you can serve it garnished with scallions, sour cream (a must), avocado slices, chopped fresh tomato, cilantro…whatever you’d like. 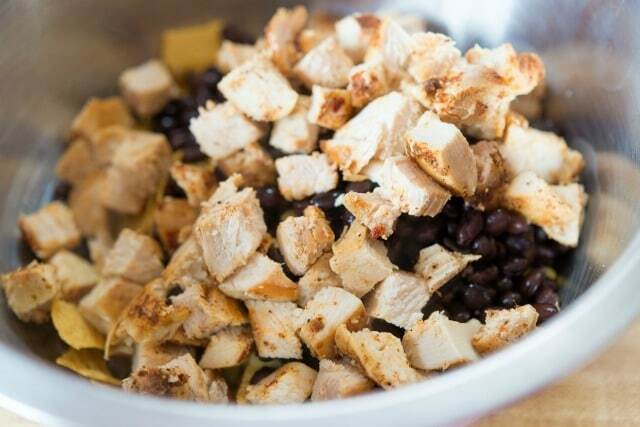 Mexican Rice, Mexican Street Corn Salad with Black Beans, and Chicken Fajitas are some of my other favorite recipes in this flavor profile. Enjoy! 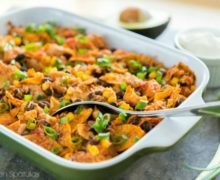 This Tex Mex Chicken Casserole only takes 10 minutes to put together, and is perfect for an easy weeknight meal! 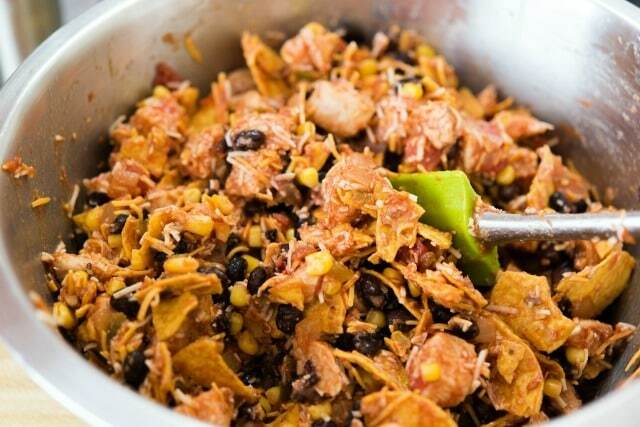 In a large bowl, combine the tortilla chips, corn, black beans, diced chicken, cheese, salsa, scallions, and taco seasoning. Stir it all together very well, being careful not to crush the tortilla chips too much. Taste the mixture and adjust seasoning if necessary (and keep in mind this will taste wetter than when it comes out of the oven). Pour the entire mixture into an 8×12 or 9×13 casserole dish, and cover tightly with foil. Bake for 30 minutes, then serve with your favorite garnishes (like avocado slices, sour cream, fresh chopped tomatoes, scallions, etc). Enjoy! Post updated in April 2019. Originally published February 2014. Omg wonderful wonderful and so easy. I.topped with.extra cheese and olives. This stuff is soooo good! It tastes suspiciously like my chicken enchilada casserole but with only about half the work. I used a can of diced tomatoes in lieu of one of the cups of salsa and topped it with olives. Yum! Love it so Thank You!!! Hey. 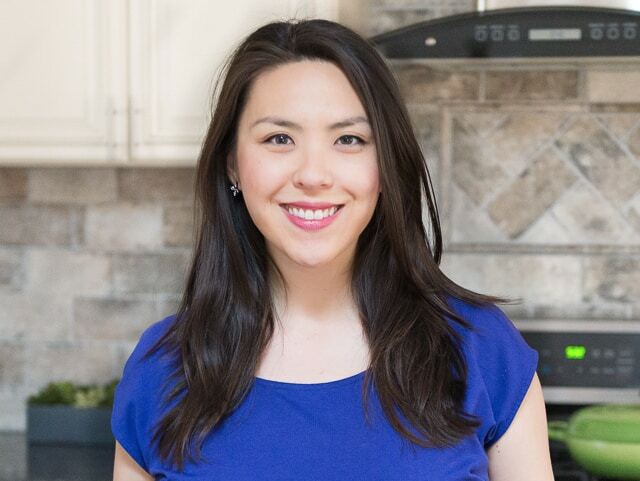 I was very excited to try this recipe as it looks amazing and seemed relitively quick and easy. I made it last night but was sadly disappointed. My boyfriend said he liked it but I did not care for it and neither did his daughter (granted she’s a picky eater). I liked the flavours but not the sogginess and texture. I’ll prob try again with modifications. Thanks for the recipes. I’ve made and enjoyed many! Yes I just made the meal and I added a can of green chillies to the mix and it was off the hook but the bad news is that you said there would be leftovers but there was none? Hi Karen, glad it was enjoyed!! Happy cooking. Thank you for this recipe idea! I’m going to use what I already have and make a small version, maybe 2-4 servings. I have 1.5 chicken breasts, some white corn, some refried beans, the chips, mozzarella cheese, 1/2 jar salsa. I think It’ll all come together wonderfully! Thank you for the template!